Location of investment site The town of Truskavets, Vorobkevycha street. The site is located in recreation resort and tourism zone. Area of investment site The total area of the investment site is 2.3 ha. It is an integral territory. 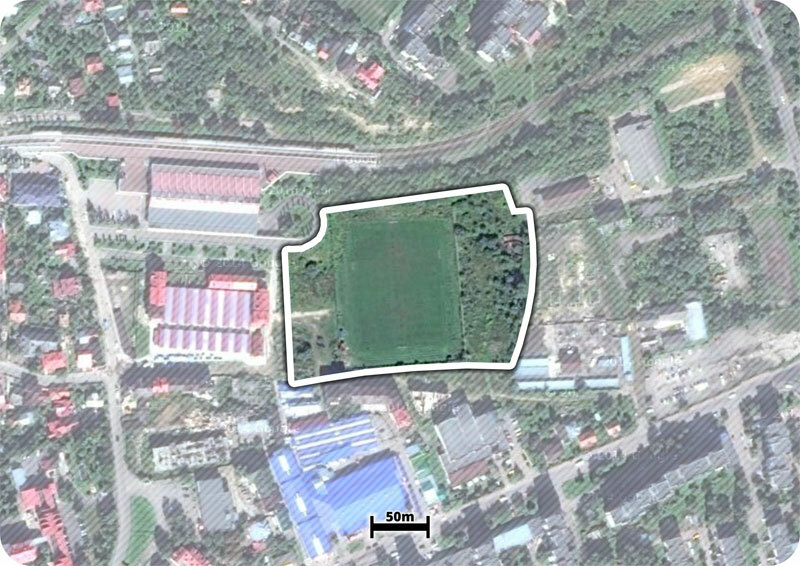 The area of football field is 8.1 thousand square metres. The area of planned construction is 2.4 thousand square metres.  Land specification The site surface has moderate north-eastern slope. Elevation changes range from 345.75 m to 344.85 m without including embankment. There are water intake and water disposal on the territory of the investment site. The water pipeline is to be transferred from an area under stadium stands, and the municipal domestic sewage collector Ø1000 mm and runoff water Ø1000 mm are to be transferred outside the site territory. Premises (buildings) on site if any There is no premise on the site. The territory is fenced around the perimeter and is used as a football field covered with lawn grass. Ownership Truskavets town council is the land owner. Zoning outlined in master plan (priority usage of the territory) The construction of a stadium for 2 500 seats. Master plan explication stipulates: p. 39 Stadium. football field with natural coating. Connection point to the heat supply source is a heat chamber TK8 on Stebnytska street. For the time being technical specification for network accessing should be verified. Telecommunications infrastructure There are 6 local phone network lines from projected telephone conduit #6 (Proektna st.). Telecommunication access is provided by: Volia, Ukrtelecom, Radionetwork, Kyivstar (Interactive TV, mobile telecommunication, the Internet, including broadband Internet). Transport links to investment site An access road is nearby – the asphalt road. The distance to local road Truskavets–Drohobych is 1 200 m, the distance to the airport in Lviv is 90 km, the distance to the railway line is 200 m (Truskavets station), the distance to the cargo railway line is 10 km (Stebnyk station, Drohobych station). Limits in territory development if any In 2006 the Institute “Mistoproekt” devised town-planning substantiation for railway station development on Vorobkevycha street (territory detailed plan), due to which a stadium should be constructed on the site. Technical project documentation and technical specifications on utility network connection have been developed. The site is developed according to the Urban development master plan. There are no restrictions. Terms of investment site transfer in operation The site sale or leasing is possible. Estimated value of investment territory There is no estimated value of the site. The stadium construction is valued 1 396.0 thousand USD (34.9 mln UAH as per calculation in 2010).